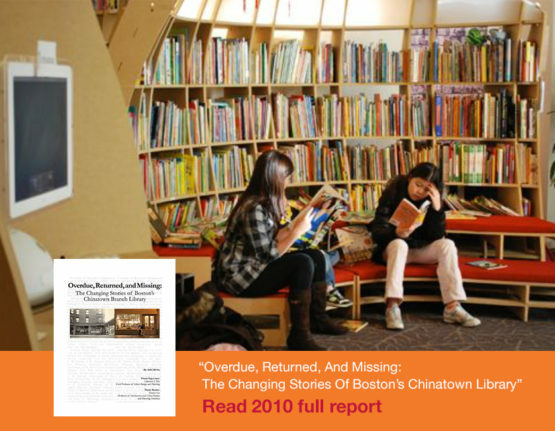 For my Master in City Planning thesis, I documented the history of a movement for a local branch library in Boston’s Chinatown through archival research and semi-structured interviews with stakeholders. The thesis has served as an advocacy document for activists in the neighborhood. My research was also included in an exhibition curated by Tufts University and the Chinese Historical Society of New England titled “These Words: A Century of Printing, Writing, and Reading in Boston’s Chinese Community.” I have blogged about the movement and current events surrounding the development of a branch library here.